A guide to wholesome nutrition for rats, that covers all life stages in detail, giving you the information you need to make great choices for your rat's diet. Learn when and how to feed, plus how much to give in order to maintain a healthy weight. 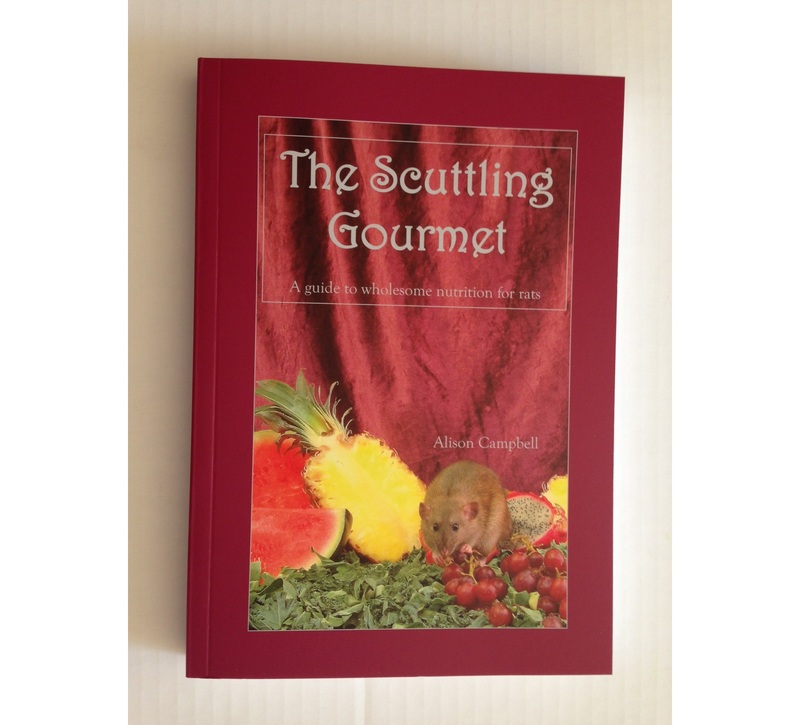 Includes lots of recipes for dry mix, cooked food, fresh mixes and treats. For multiple copies please contact me (alison@shunamiterats.co.uk) and I will adjust the postage (£3 per 2 books). Please note that if you want the book to be shipped outside the UK you will need to contact me to discuss postage options and cost.